Yesterday, after a festive and fun End of 2nd Grade celebration at school, Peyton Knowlton was biking home with her stepdad and was tragically struck by a car. She did not survive. Peyton was our son, Alder's, best friend. Alder always said that Peyton understood him more than any other friend had, and he felt he could simply be himself with her. Her loss is devastating to our family. More importantly, her family is suffering and needs help. Her mother, Mindy Shetley, is the main income provider for their family. She has been supporting their family, including Peyton & her sister, Skylar, while Cody, Peyton's stepdad was going back to school. They are bereft and, understandably, concerned about making ends meet for their family. We've started this fundraiser in an effort to support the Shetley's during this tragic time, in hopes that their financial burdens may be relieved during their bereavement. Please help in any way you can. Any contribution, large or small, will have significant impact and help this loving, sweet family in ways only imaginable. We haven’t posted an update to this site since just after Peyton’s funeral. It was important for us to withdraw a bit and concentrate on just tending to each other, to Peyton’s family, and to the needs of the day-to-day. However, in light of the recent news surrounding the investigation, we think it’s time to reach out again. These kindnesses, no matter how grand or small, have made a tremendous difference in the lives of Peyton’s family. Such gestures, while not taking away their pain, have made the painful edges slightly less jagged, so that they can get through their days a bit easier. And when you are experiencing unfathomable loss, to soften the blow even slightly is a blessing with significant impact. During this time, however, they have been waiting…their lives on perpetual hold as the investigation into the details of the accident dragged out. Their lives no longer on pause, Peyton’s parents and their families now have the difficult job of moving forward, but not moving on. Because of the nature of this accident, they will likely be dealing with legal proceedings for some time. And even though what they want is to figure out how to move forward, they feel concerned that reliving the accident in this way will repeatedly rip the scab off of their attempts at healing. They don’t know what is in store for them, in terms of legal proceedings or otherwise. Peyton’s mom is returning to work next week. She feels this will be a blessing and a curse: good to have work to focus on, but also difficult to maintain focus and composure. And Peyton’s stepdad will be back to school in the fall. With all of this “return to normalcy”, they will be working to find the “new normal” for their family. Which would be difficult to do regardless…but throw in legal issues, which could possibly go on for months, and it is far from normal or easy. So, we are appealing to all of you, their supporters. Can we find ways to ease the burden of the coming months and make the jagged edges even smoother? Yes, we can! Let’s rekindle this fundraiser. That’s one way to start. Consider donating again if you can, even a small amount--$10, $20, $50. It all adds up. And send the link to everyone you know, to see if others feel compelled to help. I, personally, would like to know that even though they are back to work, they would have the means to be nurtured over the next few months—with good food, paid bills and the occasional massage. We know that as they go back to “normal” routines, help in this arena is going to be especially important—and this is going to particularly true if there are any legal proceedings that require their time and attention. They are especially eager to accept help with housecleaning or yardwork, if anyone is up for it. Thanks for your continued support, well wishes, prayers and heartfelt sympathy. We know that all of Peyton’s family appreciates it deeply. Your care continues to be a balm for them. Hello to everyone that is reading this! I am Peyton’s mom Mindy and I would like to take a few minutes of your time. I cannot express the gratitude and appreciation that I have for the community I live in. Between prayers, words of sympathy, monetary and food donations, flowers, emotional support, and even just sitting and letting me cry, I have a whole new respect for the human race. We may all have different points of view, political and religious beliefs, and stations in the economy, but when it comes down to it, people pull together to help those in need. There is no way I would be able to type this today had it not been for my family, friends, co-workers, fellow residents of Longmont, and beyond. Peyton Elizabeth Knowlton was one of the most beautiful souls I have ever had the privilege of knowing. Physically, Peyton was flawless. Her piercing blue eyes sparkled and danced when she smiled, her long blonde hair was thick and silky. I could spend hours styling it and would tell her daily, “Peyton, I wish I could have hair like you when I grow up!” She had a petite build with long legs, and her skin was fair in the winter and beautifully tanned in the summer. She had the biggest, brightest, smile of any child I have ever seen. Mostly, I refer to her as beautiful not just because she was beautiful on the outside, (which she was), or because she is my daughter, but because her true beauty came from the inside. When you got a hug from Peyton, her whole body went into that hug. You could feel the love she felt for you every time she wrapped her little legs and arms around you. There was not a prejudiced bone in her little body. Peyton accepted everyone for who they were, not who she wanted them to be. She was the kid who took every new kid under her wing, held your hand if you were scared, and cried when you cried. Your pain was her pain…even when her pains were made up! She felt every ounce of emotion fully and loved deeply. When she was happy, you couldn’t help but share in her happiness! When she was mad, man, that girl was M-A-D! She could throw a tantrum like no other and negotiate the terms of anything to get what she wanted. I know she wanted to be a doctor, but I always joked that she could be an amazing politician or attorney! Yesterday we made the final decisions that no parent wants to make. We (myself, Rich, Cody, and Barbara) picked out the headstone. Thanks to so many people’s generosity, we were able to get exactly what represented her and not have to worry about how we were going to pay for it, along with the funeral expenses, and a few keepsake items so that we all can have a part of her with us physically, not just spiritually. Being able to “do it right” for Peyton without having to count every nickel and dime has been more of a relief than I can describe. Obviously, nothing about this is easy, nor will it ever be. I, along with so many other mothers, definitely had NO intention of being a part of this club, but, here I am. I could go on all day about how thankful we are, about Peyton, and so many other topics, so I will end this here! Thank you all again for the out-pouring of support! Continued prayers/positive thoughts for healing and strength are always appreciated and welcomed. For those who missed yesterday's update, we finally have a services calendar set up for Mindy & Cody. https://my.lotsahelpinghands.com/community/support-for-the-shetley-family . This is a place for volunteers to donate services such as meal delivery, lawn care and housecleaning to the Shetley's and their family over the coming weeks. Why did we set up this calendar? In the aftermath of the accident, many people asked what else they could do, offering their time in the form of meals, errands, lawn help, etc. Now that the initial flurry of activity and outreach has passed, this need has become much more relevant, as Mindy & Cody begin the process of re-establishing their day-to-day lives, with considerable difficulty. We encourage those who feel so inclined to continue offering their support in the coming weeks & months. It is easy for many of us to resume our own day-to-day routines after such a tragic loss, but this will continue to be very difficult for the family for quite some time. Let's not forget that we can continue to be there for them in many ways! The calendar lists many opportunities for support. Not all of them need to be filled. We simply added many day & time options so that you might find it easier to choose a service that fits your schedule. And if you would like to help, but don't see a service listed for a time that you have available EMAIL US! We will gladly coordinate a time that does work for you! Link error for the calendar share is corrected! For those who tried to access and were unsuccessful, please try again. I am Peyton's maternal Grandma, (Grammy) this precious little girl never knew a stranger. She loved life and everyone in it. My heart is broken, I am so lost without my Sweetheart, but I want to say thank you to all of you for being so loving to our sweet Angel. I could not get myself to look at this site till just now. I am amazed at how many loved her. And those who didnt even know her, but if you had met her she would have called you her friend. God Bless you all! I can't imagine how you are feeling regarding the loss of your lovely angel daughter Peyton. As a parent, I know how devastated and heartbroken I would feel if it happened to one of my daughters. I'm praying that God's healing power will be upon you during this difficult time. Its so awesome that the community has set up an account to help pay for your financial needs. God Bless the family. The loss of an innocent child is always a tragedy, and Peyton was so beautiful. The loss is sudden and so unimaginable, even people who try to comfort will not know the depth of the very personal pain. Updates like the service bring compassion. I am so very sorry for your loss and can't imagine what you are going through. We will be praying for you and your family during these times. My heart breaks for you. 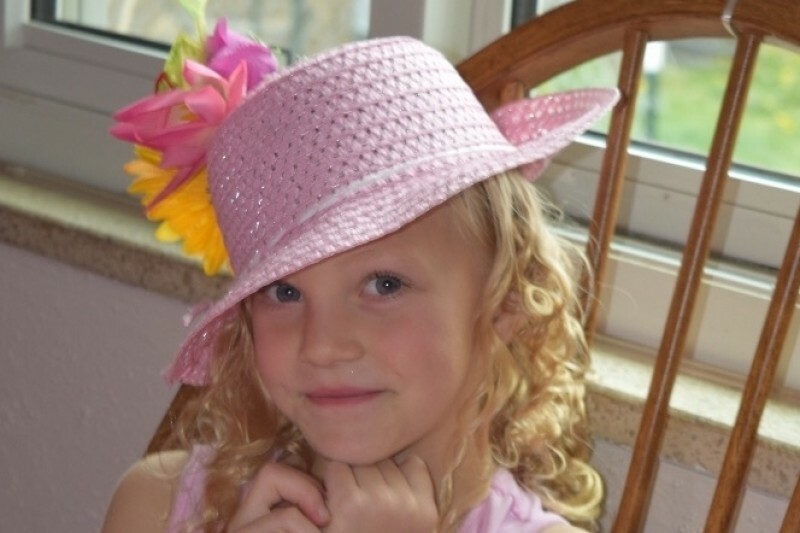 Heartfelt sympathy in the loss of your beautiful daughter, Peyton. I hope my prayers will bring you comfort. So very sorry to hear this, Sending Love to your family. I'm so sorry... my heart just aches for you. God bless your family.